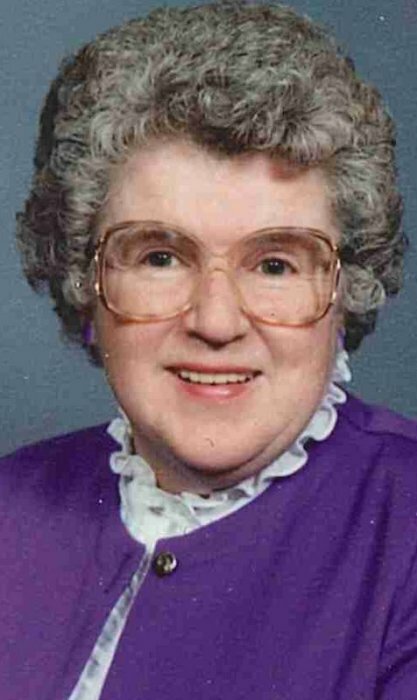 Elaine E. Suilmann, age 88, of Wabasha, died Friday evening, January 18, 2019 at St. Elizabeth’s Nursing Home in Wabasha surrounded by her loving family. She was born February 1, 1930 in Geneva, MN, the daughter of Malcolm and Luella (Harty) Lonergan. She graduated from Lourdes High School in Rochester in 1947 and then did medical secretary training at Mayo Clinic and worked there until June, 1953 when she married. She was united in marriage to Francis Suilmann on June 6, 1953 at St. John’s Catholic Church in Rochester. The couple farmed on Wabasha Hill until moving to Wabasha in 1980. In addition to working on the farm and being a homemaker, Elaine later in life worked as the Religious Education Director for St. Felix Parish. Francis died April 16, 2014. Elaine was an extremely active person in both her parish of St. Felix Catholic Church and the Wabasha community. At church she was a member and past president of the Council of Catholic Women, the director and teacher of the St. Felix Religious Education Program, a lector, a Eucharistic minister and a sacristan. She also served the Diocese of Winona as deanery president, and its communities chairman. She served on the St. Elizabeth Hospital Board of Directors, and gave of her time as a hospice volunteer. She also was a member and past president and vice-president of St. Elizabeth’s Hospital Auxiliary. In her earlier years she was an adult leader in 4-H. She was proud of her Irish heritage and served one year as the Grand Marshall of the annual St. Patrick’s Day parade in Wabasha. For all of her dedicated work with St. Felix Parish and the Wabasha community, Elaine was awarded the Bishop’s Medal. Elaine is survived by her children, Mark Suilmann, Wabasha, MN, Dale (LuAnn) Suilmann, Elk River, MN, Mary Suilmann (Rick Crispino), Minneapolis, MN, Lynn (Julie) Suilmann, Farmington, MN, Anne (Pat) Dillon, Minnetonka, MN; eight grandchildren, Clair Anderson (Derek) and Joe Suilmann (Jessie), Sam and Ben Suilmann, Nicholas Crispino, Nate (Lindsey) and Mary Dillon and Father Vincent Ferrer Bagan; four great-grandchildren, Violet and Ruby, and Molly and Henry; sisters-in-law, Bunnie Suilman and Annabelle Suilmann, both of Wabasha, MN; and several nieces, nephews and cousins in the Suilmann and Longeran families. She was preceded in death by her husband, Francis, daughter-in-law, Sandi Suilmann, brothers, William and Robert Lonergan and sisters, Dorothy Heggeland and Sister Kathleen Lonergan, OSF. A funeral Mass will be celebrated Friday, January 25, 2019 at 11:30am at St. Felix Catholic Church with the Reverend Fathers Gregory Parrott and Vincent Ferrer Bagan and Deacon John Hust officiating. Interment will follow at St. Felix Cemetery. Family and friends may call at Abbott Funeral Home in Wabasha on Thursday, January 24, 2019 from 4-8pm, concluding with a prayer service and they may call at the church on Friday one hour before the service. Memorials are preferred to St. Elizabeth’s Community Development Foundation, 1200 5th Grant Blvd. W. or to St. Felix School Adopt-A-Student program, 130 E. 3rd St., both in Wabasha, MN 55981.